An interview conducted with NETGEAR senior product line manager for storage, Doug Cheung, offers insight into how storage plays a key role in protecting small and midsize businesses. Q: Let’s start with today’s small and midsize business landscape. What makes these businesses more vulnerable to security threats? A: Many small and midsize businesses are relying on email as their primary form of information sharing, both internally and with customers and suppliers. Email is one of the primary avenues for hackers to attack businesses, and an attack on even one system can spread rapidly throughout the entire company. In today’s mobile economy, many employees work on both laptops and personal devices, exposing business networks and applications. Businesses frequently use outdated tools to store and secure data or rely on traditional firewalls, which cannot protect against new web-based and digital threats or the mobile interactions occurring off business premises. In short, the data key to business growth and survival is at risk. Q: How is data impacting small and midsize business security? A: The ever-increasing role of data is creating a huge shift in the way businesses run. Today, data is at the core of business operations. If this data is not stored, accessed and shared securely, the business is vulnerable. Data comes in many forms—email and IM communications, web-based tools and applications, images, video, audio and traditional business applications and processes. Relying on employees to store and secure the constant flow of data on their systems, hard drives or public clouds does not meet the requirements of most businesses for privacy, protection, manageability, and control, not to mention disaster recovery in the case of system failure or emergency. Q: What is "network-attached storage" and how can it help? A: Network-attached storage, or NAS, is a storage device attached to a local network that allows access by multiple authorized users. As businesses generate more data and bring more connected devices into their environments, NAS solutions enable companies to have control over critical business data. Many employees still use USB sticks or a USB hard drive to store data; business owners need a way to quickly aggregate this data and disseminate it. For example, when a new listing comes online, a small real estate agency needs to quickly send this information to every employee. NAS solutions offer access to near-real-time data and make it easy to share with employees. NETGEAR NAS solutions provide backup and synchronization between on-premise and object-based storage. Q: Many small and midsize businesses use cloud services to meet their data requirements. What is the advantage of using NAS? A: Cloud storage is a good solution for data backup and disaster recovery4, but access is dependent on your Internet speed. NAS offers a great solution for a private or hybrid cloud model. It is deployed on-premise and works seamlessly with both cloud and on-premise storage. With NETGEAR NAS solutions, you have backup and synchronization between on-premise, Google, Dropbox, Amazon Drive, Azure, OneDrive and object-based storage. 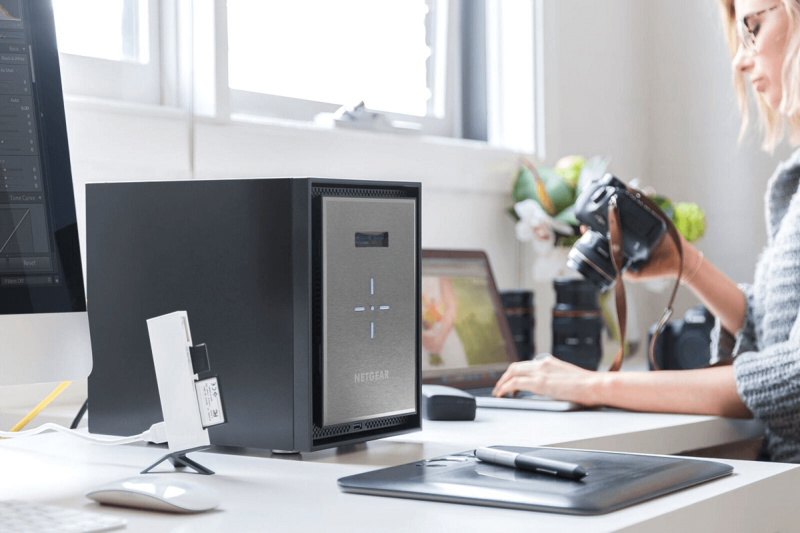 On-premise storage offers the fast local access, performance and security that are essential for businesses engaging in content creation, such as video and photo editing, or real-time digital collaboration. Q: Tell us about NETGEAR ReadyNAS solutions based on Intel technology. A: NETGEAR ReadyNAS solutions powered by Intel processors are designed for small and midsize businesses across a variety of vertical markets. They offer an affordable storage solution to help protect business data in our connected, digital world; are easy to deploy; require no specialized IT expertise and help secure business data seamlessly whether on-premise or in the cloud. With NETGEAR ReadyNAS, small and midsize businesses of all types can improve productivity, increase security and protect data — supporting mobile employees, diverse business models, collaboration with customers and vendors and disaster recovery. You get a common, shared storage platform to support the spectrum of business processes and needs. Q: What kinds of businesses are using ReadyNAS? A: Many types of small and midsize businesses are benefiting from ReadyNAS based on Intel technology. These include medical offices and law firms that require increased data security; creative agencies, retailers, and restaurants that need fast, local access to data; real estate and insurance companies transmitting photo and video data from the field and many others. Q: Is NETGEAR ReadyNAS difficult to deploy and manage? A: Often, small and midsize businesses do not have dedicated IT staff and cannot deploy solutions that require high levels of maintenance. NETGEAR NAS solutions are easy to install, set up and use. After an initial 15- to 20-minute setup, all employees in and out of the office can use the solution. NETGEAR also offers a portal service that requires no technical expertise at all. Explore NETGEAR ReadyNAS solutions for small and midsize businesses. Daniel A. (Dan) Artusi is vice president of the Client Computing Group and general manager of the Connected Home division at Intel Corporation. Based in Munich, he is responsible for all aspects of the division’s business, including engineering, marketing, business operations and revenue. A 30-year veteran of the semiconductor and communications industries, Artusi joined Intel in 2015 with the acquisition of Lantiq Deutschland GmbH, where he had been chief executive officer since 2012. He also spent six years as an operating executive at Golden Gate Capital, focusing on semiconductor and communications investment opportunities. Earlier in his career, Artusi served as president and CEO of Conextant Systems Inc.; as chairman and CEO of Coldwatt Inc.; and as CEO, president and chief operating officer at Silicon Laboratories Inc. He was also a member of the board of directors at all four technology companies. Artusi started his career in 1977 at Motorola Inc. and subsequently spent 24 years with the company, culminating in his role as corporate vice president and general manager of the Networking and Computing Systems Group. Artusi attended the Instituto Tecnológico de Buenos Aires in Argentina. He sits on the Engineering Advisory Board of the Cockrell School of Engineering at the University of Texas at Austin. He has been granted multiple U.S. patents in the field of power conversion and has published more than 50 articles and papers on topics related to power semiconductors, microcontrollers, radio frequency technology and mixed-signal integrated circuits. 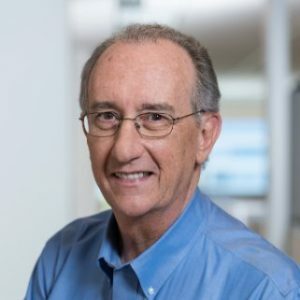 He is a former member of the boards of directors at Atheros Communications Inc. (later acquired by Qualcomm Inc.), Energy Micro AS, Micrel Inc., Powerwave Technologies Inc., Scintera Networks Inc. and Ubiquiti Networks.